Some Gallifreyan words (2). I don't know if it's a true creation of Steven Moffat or.. just a shabiki who likes VERY MUCH Doctor Who, enough to create a whole new alphabet from another planet. :3. 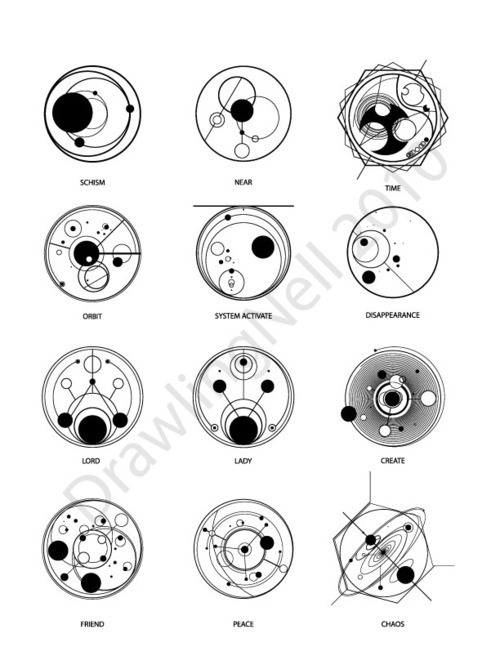 Wallpaper and background images in the Doctor Who club tagged: doctor who gallifreyan alphabet gallifrey timelords.